If you have Family Billing turned on, you can now search by student and by grade level. No need to remember the name of the primary payer. 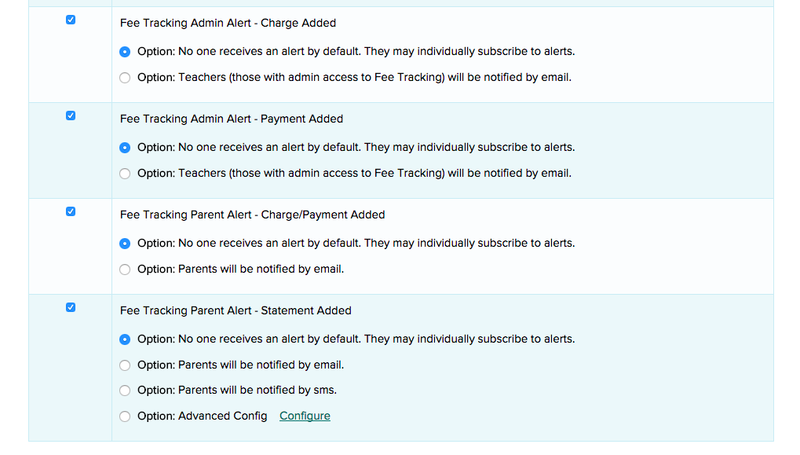 We have new alerts related to the Fee Tracking module. Teachers and Parents can be alerted when a charge is being made, when a payment is received, or when a statement is generated. Finally, we’ve decided to include the Report Creator as a standard feature on the Athena Plan. Schools on our Apollo Plan and Gaia Plan can of course add the Report Creator app from the App Store.